Check out our YouTube Channel to see examples of TS Edgers in action. 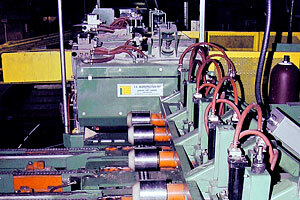 TS Manual Board Edger Systems have been providing mills reliable edging for over 40 years. 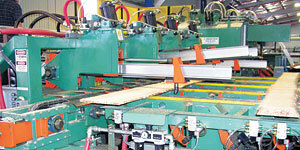 We manufacture 2 saw and greater saw counts, including edgers with mini-clusters for minor gang capabilities. All TS Edgers are fully stress relieved and line bored to ensure maximum in precision. The rollers are precision machined and easily accessible. We match our edgers with a variety of tailer options to match your footprint and budget. Our Edger Systems are only available in integrated safe setups, eliminating the danger common to more economical edger systems. 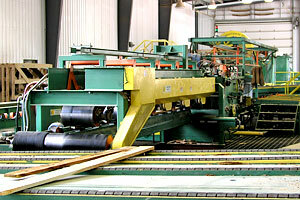 TS has been building Optimized Board Edger Systems since 1989. 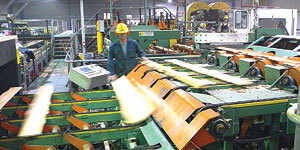 The wide variety of applications we have produced include board edgers capable of over 52 boards per minute, as well as a variety of more custom applications for customers with unique handling challenges. All of our Optimized Board Edgers are available with a variety of saw positioning mechanisms, both guided and unguided saws, as well as in multiple arbor configurations. Every Optimized Board Edger is matched with the correct infeed system, including using pre-positioning tables for grade-edit, or being fed by TS' patented multi-chain system. Our Lineal board edgers utilize a completely open bottom saw box shifting on oversized 'outside radius' cam followers, providing maximum ruggedness and simplicity. Ask your TS representative for more information. 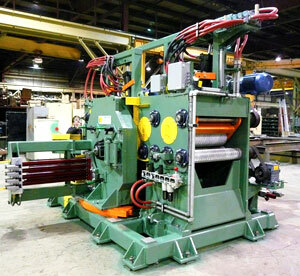 TS Gang Edgers are available in both Single and Double Arbor configurations. 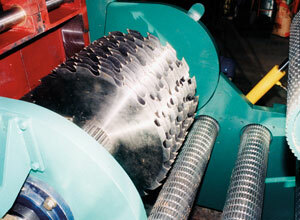 Our proven track record of producing rugged, durable Gang Edgers has been developed for over 40 years. 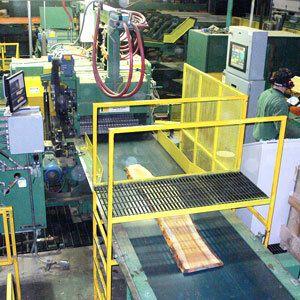 We offer gangs in both conventional and curve-sawing setups. Gangs are available in typically bottom arbor design, but can be provided as top arbor for shorter piece specifications. TS Combination Edgers come in both transverse and lineal options. They share the features of our proven Board and Gang Edgers in ruggedness and durability. 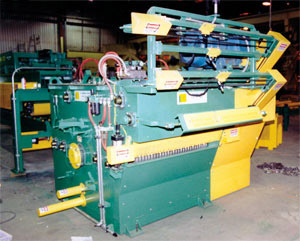 The Lineal Combination Edger is able to process both straight sawing cants and curve sawing cants. 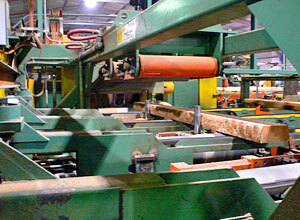 The board side of this edger can straight saw timbers or curve saw them for pallet applications. 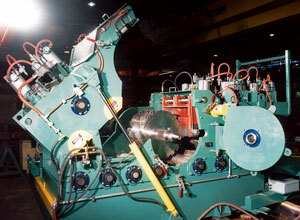 Combination Edgers are available in both optimized and non-optimized systems with shifting or fixed clusters.